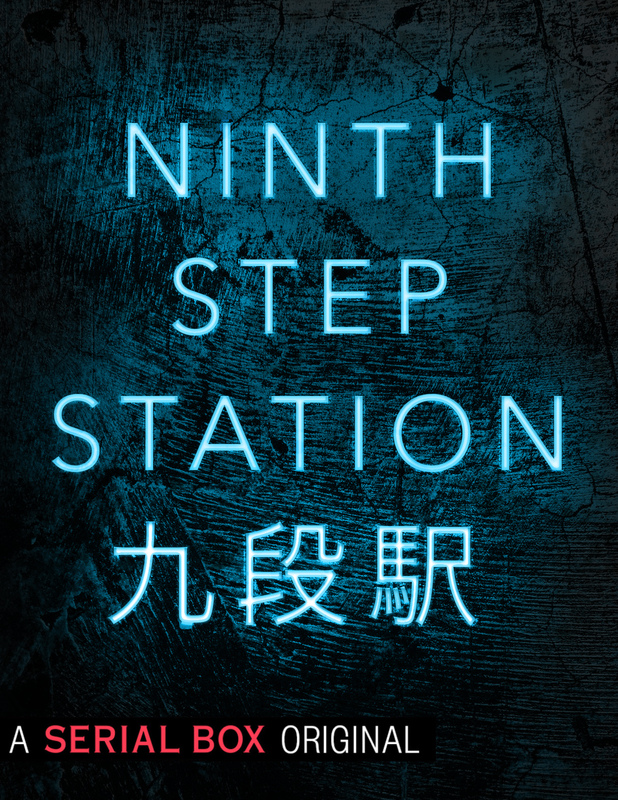 So I’ve never really read a serial story before, but when I was approached by Serial Box to look at Ninth Step Station, a collaborative serial novel by Malka Older, Fran Wilde, Curtis C. Chen, and J Koyanagi, I just couldn’t resist. The premise mixes near-future politics with procedural driven police mysteries. Add a touch of cyberpunk, a dash of international tensions, and a pair of women interesting in both peace and getting at the truth, and it’s a recipe for a wonderful new project that will be launching in 2019. Because of the nature of the project, these early reviews are going to be out before the series is released (January 9), but as the series kicks off I'll slowly fall behind the schedule of the episodes. 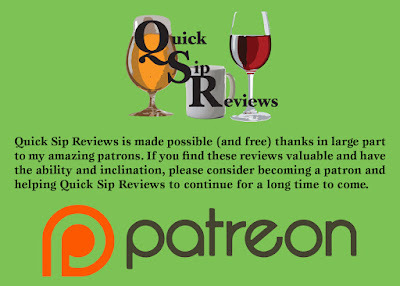 BE AWARE THERE ARE LIGHT SPOILERS IN THE REVIEW SECTIONS discussing some elements of the series. If you don't want any spoilers, please only read the No Spoilers sections and the Keywords. So yeah, let’s get to the reviews! No Spoilers: So I gotta admit I kind of love police procedurals. Mysteries. Buddy detectives. 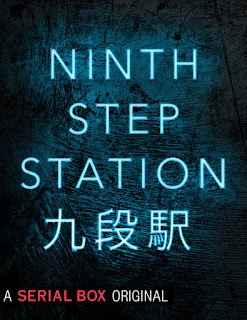 And this serial story provides a solid introduction to a future Tokyo where China has attacked and taken half the city while the US has stepped up their presence in the other half. The Japanese, stuck in between, have to figure out a way to move forward as all sides are eyeing up resources and plotting their next moves. In this environment, Miyako is a cop who’s trying her best to keep the peace. She’s a judo champ and a workaholic, pushing herself because of the extraordinary circumstances and, I suspect, because she’s a bit of a mess. She’s paired with Emma, a member of the US peacekeeping forces and a much different kind of investigator. Emma brings a detachment from the politics of the city, something that makes her both an asset and a liability. Because, in a city where everything is an inch away from global disaster, absolutely everything is connected to the war. Together they are tasked with solving a murder and the disappearance of a shipping crate—two things that don’t, at first, seem connected. 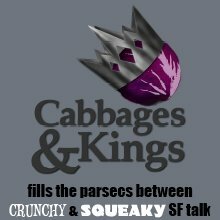 Review: So we’ve got near future political sci fi mysteries told in episodic format. It’s amazing. Seriously, though, the hook and premise are interesting and complex. The situation of a global showdown in Japan carries a certain kind of realism mixed with future tech which is spotty at best thanks to the war and a number of natural disasters which have knocked out some of the police databases and generally hobbled the local net. The characters are vividly drawn, with their assignment saddling them with each other. It’s not an easy partnership, both of them not only on guard but very much concerned with their particular areas of concern. They have missions that have them going in the same direction, but often crossing each other in terms of priorities and abilities. Emma is definitely an outsider here, bringing her American mentality to policing (I kinda laughed out loud at the scene where she finds out not every cop in the world pulls a gun at the first chance). Miyako is more old fashioned but also more traditional and with some repulsion to the idea of body mods like Emma’s cybernetic eye (which is pretty awesome). The plot and prose are tightly wound—the pair are able to “solve” both mysteries in a relatively small amount of time, as well as introduce the reader to the world and the main cast and conflicts. More, though, there’s a strong sense for me that for all the detectives come up with a who-done-it and motives are found for the crimes, I doubt that this is all so neatly wrapped up as it seems. 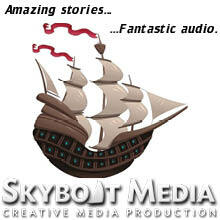 There’s a delicious promise to the story, which operates essentially like the pilot for a show. There’s certainly enough to sink your teeth into, as well as a strong aesthetic and distinct cast. The opening mystery is perhaps a little weak, a little too quickly solved, but I get the feeling it’s more because there’s a much deeper and more dangerous game being played rather than the true villains have been brought to justice (if it even turns out to be that simple). I am, to put it simply, hooked. I am On Board and ready to find out where this techno-thriller murder mystery is headed next. A wonderful read! No Spoilers: An arm is found in a locker, and the errant limb sends Miyako and Emma on a wild tattoo chase through this shattered Tokyo full of modders, hackers, cops, and spies. The piece begins to delve slightly into the personal lives of the detectives, as well as the cast around them. And the tensions still exist between the two mains, deepened here by the new attention Emma is getting from one of Miyako’s former boyfriends, a mutual colleague. But more, it shows the divisions between the two, their shortcomings and the ways that they could come together to form an unbeatable team, but at the moment are being stymied by their different styles and different allegiances. And the mystery, like the previous episode, doesn’t have the feeling of being truly done. There’s more in the way of closure about the direct mystery, but the series continues to seed new and more intricate mysteries to explore. Review: I feel here we get to see some more of the differences between Miyajo and Emma. Not just the first blush, but a bit more into the nitty gritty. I love how Emma is quick to reach for her gun but balks a bit at the aggressive interrogation techniques of the local police. Miyako works all hours, and yet there seems more to that than just a strong work ethic. We knew that Miyako wasn’t too thrilled with modding, but actually seeing her and Emma interact with modders is interesting, because Emma has a sort of interest and affinity because of her eye, and because she, too, seems frustrated by the more conservative nature of policing, not really seeing the things she’s completely okay with as an American (with regards to rights and law enforcement). The characters are messy and with room to grow, but at the moment are too guarded. Emma is still too much a tourist, and Miyako still too hurt about what’s happened to her home, something she’s not allowing herself to process, instead burying herself in work. The mystery itself is a little more complex than the last, and takes a bit more clue gathering and interrogation. Because the attention isn’t split between two different crimes, there’s a bit more focus to it. And there is teamwork, but most of the breakthroughs on the case come by Miyako or Emma on their own. They still manage to figure out what happened, but they don’t catch everything or everyone, and there’s still a lot unanswered. I appreciate this approach to serial stories, too, taken from television, though I admit I want a bit more of a dive into the world of the characters. The light shines on the setting, of the city, and I love the rather nostalgic feel of this episode, where Emma is experiencing this very manicured Tokyo, one where she can forget about the troubles. For Miyako and the rest of the Japanese, of course, there is no forgetting, and it’s a subtle but compelling angle. This episode introduces a bit of romance and romantic competition, and I definitely like how everything is being set up, especially because if Kensuke both lives and isn’t secretly corrupt I will eat my hat. But it’s another great installment of this larger story. There’s enough to flesh out more of the setting and the characters and the tension of the city, while also showing Miyako and Emma putting a mostly-win in the books. A great read! I've been impatiently waiting for this serial and The Vela to release. It's good to know more about it. Thanks for the review, its wonderfully written!